BARRON’S HEADLINE today – IS THE BULL UNSTOPABLE? The unemployment rate is just 3.8%, near the lowest level in 50 years. Fed Funds futures are now pricing in 30 basis points of easing in 2019, meaning at least a quarter-point cut in short-term rates. 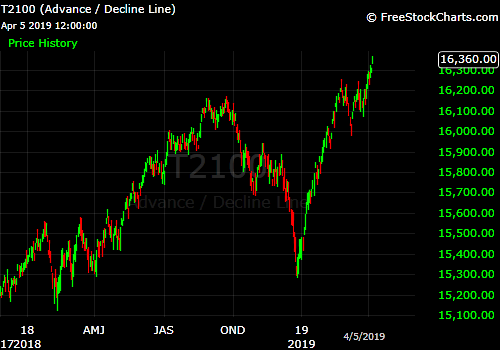 The S&P 500 Index (SPX) which is now only 1.6% from new bull market highs and the Nasdaq 100 Index (NDX) which is only 2.2% from new bull market highs. There has been huge improvement in the technical pictures of global stock markets; notably China’s Shanghai index (that hit a 52 week high in today’s trade) and add the Hang Seng too, plus the STOXX Europe 600 Index. All of this bodes well for our markets as the global market picture has been drag until February when the rumblings of improvement began. These plusses add credence to the recent exceptional economic news that has buoyed the backdrop here in mother USA. 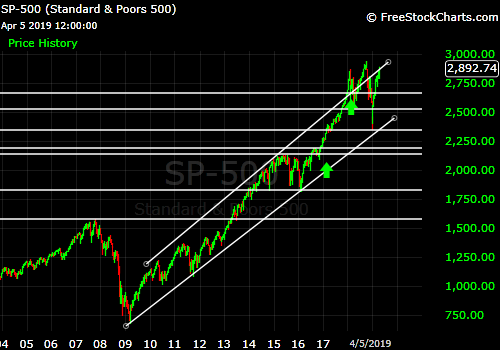 Price in the S&P 500 (SPX) has once again has remarkably moved above the 10-year channel that goes back to the indexes 666 lows put in March 2009. Also notable last week was that both the (SPX) and (NDX) indexes had “so-called” golden crosses this week when their 50-day averages crossed above their 200-day averages. Market technicians see this as a very bullish event. Another plus; the yield curve has reversed back. Notably, the yield curve is just one (1) of the 10 components of the Index of Leading Economic Indicators. * In the 14 months to April 2001. The loss in Nasdaq points was from 5132 to 1600 That’s not even counting the 9-11 hit to the September 21, 2001 even lower lows to 1387. Looking at the 32,000 publicly-traded companies in 14 advanced economies, a Bank for International Settlements study in November 2018 found that 12% of the total were both at least 10 years old and had an interest coverage ratio below 1.0 for three (3) consecutive years. In other words, these companies weren’t making enough revenue to pay back their loans, much less cover their other expenses and earn a profit. (They borrow money at near zero % and kick the can down the road). Bank of America (BAC) just found the same in a new study that finds; 13% of developed-country public companies can’t even cover their interest payments. They are either borrowing more cash to pay off previous loans, or issuing equity to hopeful (too hopeful) investors. 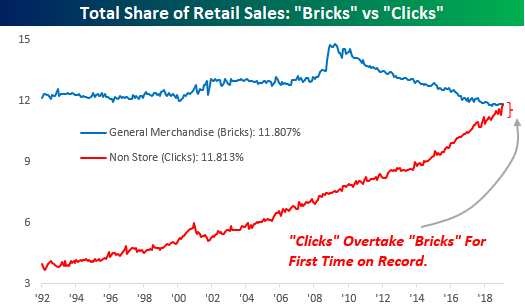 When things get dicey ─ as the will (a recession) ─ these companies will almost surely fail. 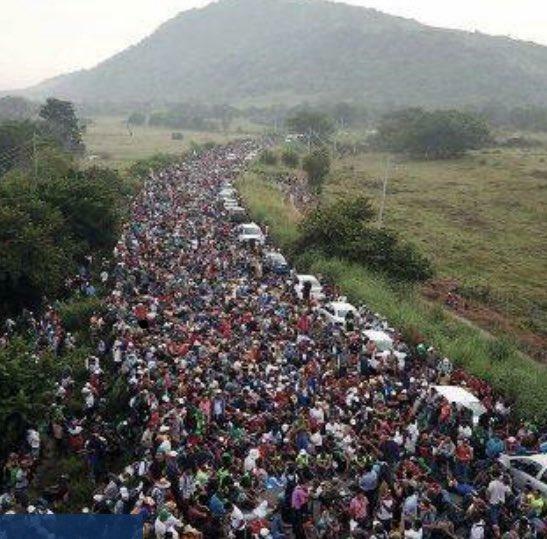 A truly hellish invasion coming our way. Good grief! The overview of Investor sentiment – (a contrary indicator) – is remarkably tame in its bullishness considering the accelerating market picture. And that’s a good thing going forward. (High BULLISH readings in the Investor Sentiment are usually signs of Market tops; low ones, market bottoms. The American Association of Individual Investors [AAII]Investor Sentiment Survey of BULLISHNESS rose to 35% from the prior week’s 33.2%. Long-Term Average: Bullish: 38.9 %. The American Association of Individual Investors [AAII] Investor Survey ofBEARISHNESS rose to 28.3 % from 27.2% the prior week. Long-Term Average: Bearish: 30.4 %. The Investor's Intelligence Bull vs. Bears as of April 2nd 2019 reveals 53.4% Bullish and 19.4 % Bearish. The prior week the numbers were 52.0% Bullish vs 20.6% Bearish. Notably on January 1 2019 Bullishness had dropped to 29.9 % and Bearish registered 34.6 %. This week the Barron’s Consensus Index of BULLISH sentiment was 63% from the 62% the prior week. The cycle and multi-year highs of 78% were established in June, 2014. The Market Vane (Market Letter Survey) The Bullish Consensus was 55% up from 53% the prior week.